A unique bed and breakfast in North Vancouver. Delicious breakfasts,the space and comforts of home in a beautiful setting and a convenient location. Only a 15 minute drive from Vancouver city but far from its noise. Located on a private lot with beautiful trees and babbling brook. Ferry to Vancouver Island and the Sunshine Coast, hiking, boating, swimming, golfing, kayaking, paragliding, skiing, Capilano Suspension Bridge and Grouse Mountain are close by. Join in and write your own page! It's easy to do. How? 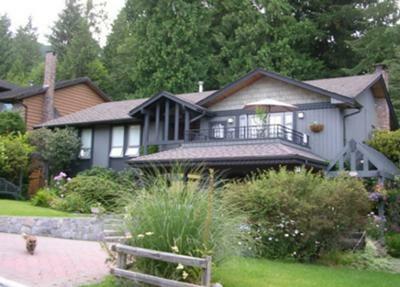 Simply click here to return to Vancouver Bed and Breakfast Information.